I. To support and manage the activities of the Total Futbol Academy Youth Soccer Program, via the "Kids Off The Streets" initiative, as well as to build a professionally structured and disciplined youth soccer academy to be the "vehicle" that ultimately guides our student/athletes to achieve the ultimate goal of attending college. II. 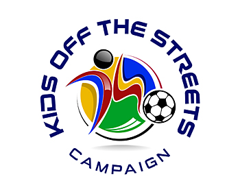 The "Kids Off The Streets" initiative was created to help support, influence and monitor the progression of our student athletes so that they are properly prepared both academically and emotionally in order to enter the next phase of their academic pursuits. In that spirit, the message must be clear, education is the gateway to their future! III. To provide the ability for youth soccer organizations and coaches to Affiliate with us in order to gain access to our acquired know-how and resources through an Affiliation Program. Additionally, and in conjunction with our annual trips to Barcelona during the Spring, the program also offers coaches the ability to gain access to our player development curriculum's.